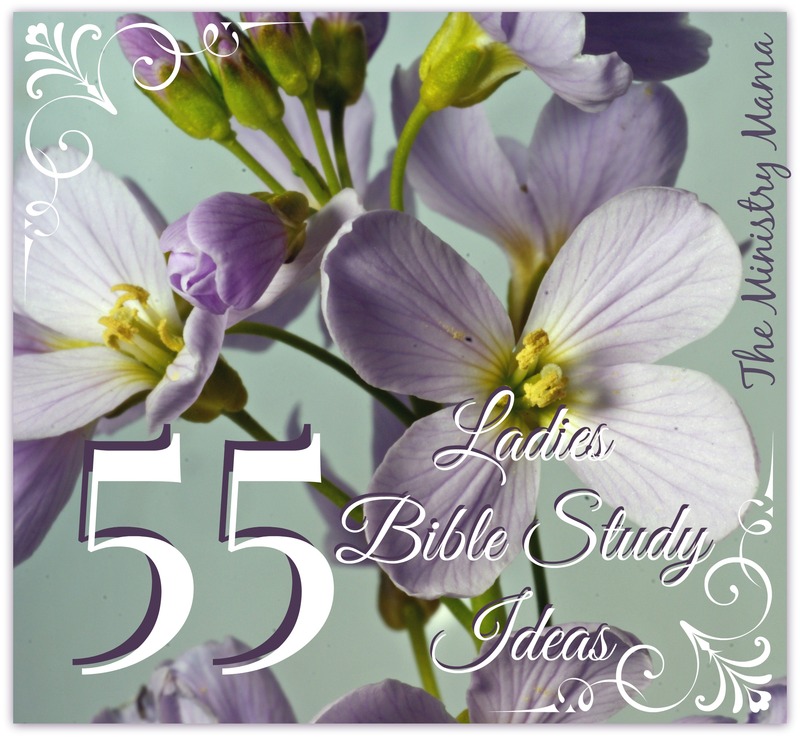 This is a list of 55 Bible Study ideas for personal use or a Ladies Bible Study group. Also included is a list of books that are for teaching a Bible study for teen girls. This blog post was inspired by a question another Ministry Mama asked me, so I decided that it might be something that would be of interest to all of you that lead a regular Ladies Bible Study group in your church and are always looking for a new and fresh idea. First of all I want you to know that I use the King James Version (KJV) of the Bible and I know there are lots of church ministries out there that do and it can get pretty difficult to find Ladies Bible Study books only using the King James. I have included both King James Ladies Bible Study ideas and other books and studies that use other versions of the Bible. My reason is because there is great quality of writing from various authors that God has allowed to write about Biblical subjects that we can use and glean from in our spiritual lives. Just because they may use a different version of the Bible, I do not believe that their work should be cast off, we just need to be wise in looking up the verses in the King James Version and making sure that their application is appropriate to the context of the Word as well as correct Bible doctrine. Second, I want to say, I have not read a majority of these books, so it will be your job to read and be responsible for judging whether these books are proper for your church and ladies group. You should buy the Bible Study book yourself and read it beforehand. You may want to make your own handouts to give to your ladies for the Bible Study if the book you are studying has verses from other versions. This will help you be able to have one mind and one focus without the confusion of other translations. Some Bible study leaders choose to lead the group with the only Bible study book, and others like for their ladies to have the book themselves and have them read the chapters and do the study and bring it ready when they come to the group. The choice is up to you! Third, the links to these websites are not associated with any affiliate links. I give them to help you find these resources easily. You have the freedom to buy these books on any other website, in fact, I encourage you to look for the best prices so that your ladies can purchase their book at an affordable price. Last, if you have any suggestions for other Ladies Bible Study books, whether KJV or otherwise, please contact me and share that information with me so I can add them to the list. If I get enough suggestions I may even add another blog post of another list. The H.E.A.R.T. Ministry has over 65 free KJV Bible Study Resources available for download for personal or group use. *These books either contain verses from other Bible versions or I am not confident whether they are King James or not.